Corporate event planning can be extremely stressful, especially with the fast-approaching holiday season. Fear not, the Rent Letters team is here to help! Event planning can differ between companies, but there is a lot of common ground details that are crucial to your event being a success. We put together a list of essentials that you’ll need while planning a corporate event. Who is coming? What is your event about? When is your event? These are a few examples of questions your team should have answered before any event planning begins. It is far too common for event planners to jump straight into planning before realizing the details don’t all match one defined objective. This comes in handy for corporate events when there is typically something specific that you’re celebrating or a certain topic that you’re bringing awareness to. This is the most important essential to your corporate event. It is definitely helpful to have a list during planning, the day-of, and a list of post-event tasks. This will help when you are delegating tasks because all tasks will be spelled out in detail. Checklists allow you to develop a timeline for time-sensitive tasks to be completed efficiently. Obviously two necessities at any event, but there are ways to make your corporate event unique and memorable. For example, you can make your event very interactive to make it engaging for your guests. Have a customize-able mimosa or bloody mary bar. Live stir-fry or make-your-own ice cream bar for a dessert. 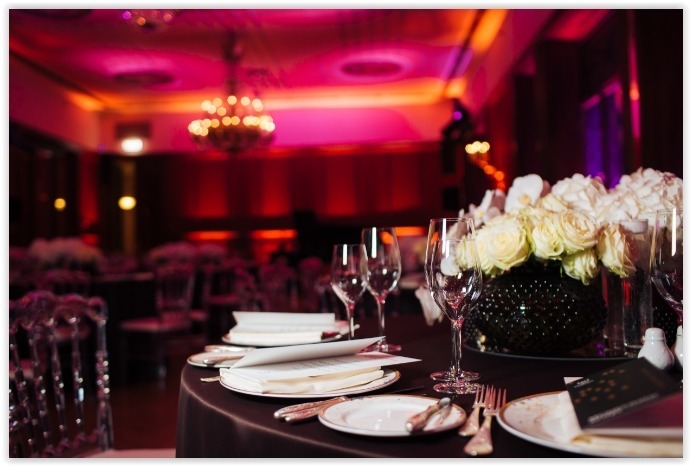 With corporate event planning, decor for an event is frequently overlooked. However, we have the perfect essential detail piece to make your event one to remember. Lighting is everything, and that is our Rent Letter specialty! Rent our very own 3-foot high light-up marquee letters to wow all of your guests. An event topic name, your company name, or your company initials are our top orders and they are a guaranteed show-stopper. The letters add an unforgettable look to any special event. Reserve Your Own Marquee Lights Today! To contact the event decor professionals at Rent Letters, please call 1-800-450-1276 or click here. Thank you, and we look forward to working with you soon!